I’ll be visiting Israel this week, for Jenkins User Conference in Herzliya. I think this is my 3rd time visiting there, and I always enjoyed my visit and people over there (it really is an interesting place in many ways that everyone should visit once!) If you live in Israel, you can still register for the event! You can see the planned talks, but there’ll be a lot of good “show and tell” talks where seasoned users share their experiences and setups to others, as well as more “emerging technologies” kind of talks, where people can get the idea of what’s cooking. I’m planning to do a talk that contains a little bit of both; a bit about features that I developed for Jenkins that I use myself (some with my CloudBees hat on), then more about what the community has been working on in the core lately, and what I’d like to work on in near future. It never ceases to amaze me that this piece of software called Jenkins has grown so much that we have 100s of people using it everywhere we go. Looking forward to meeting you all, and don’t forget to demand Jenkins stickers from me! 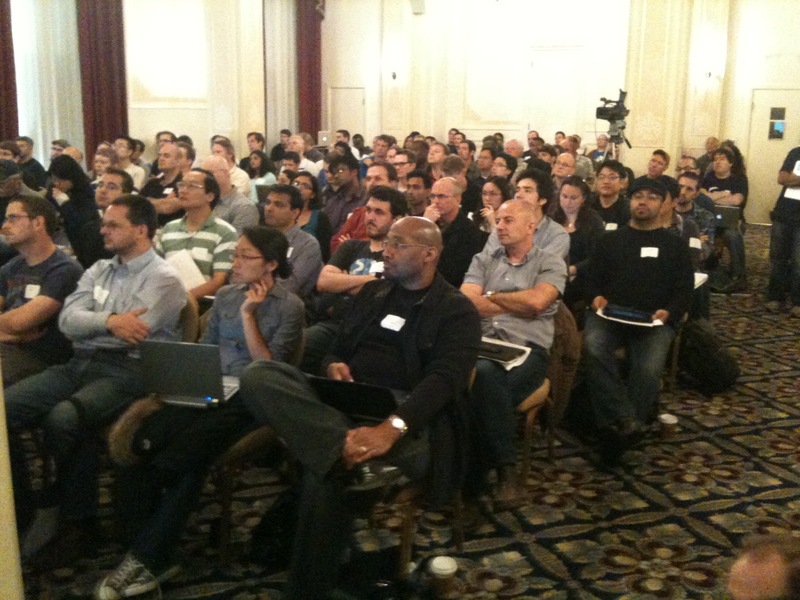 We have just increased our enrollment capacity for the Jenkins User Conference (JUC) Paris, to be held on April 17th. The enthusiastic response to our first-ever Paris JUC has been terrific – and we want to get everyone there! The learning, networking and connecting that occurs within the Jenkins community at JUC is great to see. I saw it in spades last fall in San Francisco and it was terrific. I want every Jenkins user who is able to experience JUC to do so. Since Mr. Jenkins, our iconic butler, and I are traveling to every JUC conference this year – all six of them – we have worked up a little scheme, with the folks from our sponsor CloudBees, to get YOU there, too. Let Your Friends and Colleagues Know About This Special Offer! 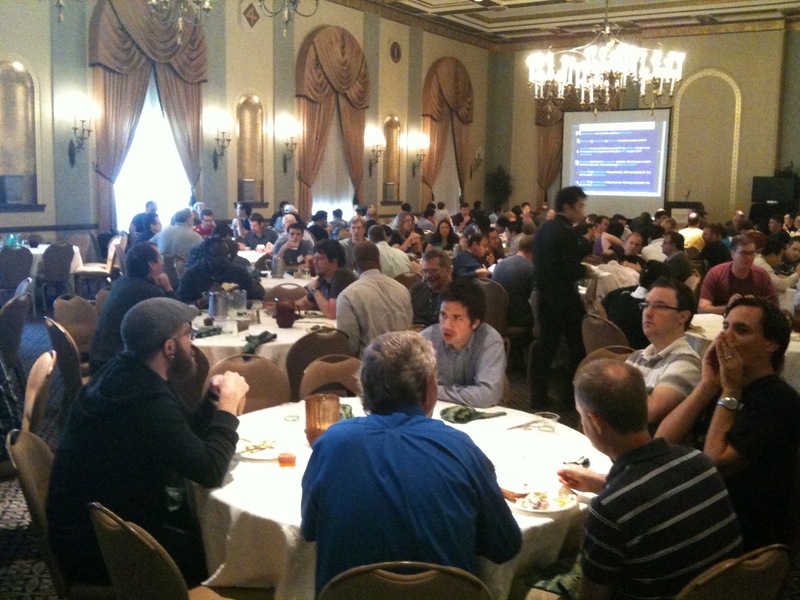 To experience what JUC is like, watch the highlights video from our San Francisco conference. It will give you a feel for the quality of our speakers, the learning – and, yes, the fun that went on! We have a lot to share with you on April 17. In addition to all of the great sessions we are offering, you’ll get to see many developers of the plugins you’ve been using (some of whom even I haven’t met before in person! ), and there will be some exciting updates and other news to share about our favorite continuous integration platform. You will want to be there to hear and see it all, first hand. I hope to see you on April 17 in Paris – be sure to sign up by end-of-day, Friday, and take advantage of this great deal served up by the Butler! By now, you are surely aware of the Jenkins User Conference (JUC) that will be held the Sunday before JavaOne – October 2 – at the Marines’ Memorial Hotel in San Francisco, starting 9:00am PDT. 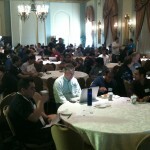 This is a major milestone for the Jenkins Community – our first ever User Conference! The Jenkins community needs to participate in JUC – certainly as an attendee, but also in supporting the organization and promotion of the Conference. Several vendors are helping to organize this first conference, but I think it’d be good for everyone if this is a community-driven event, and for that the Jenkins Community must play a major role, too. Register to attend. After all, it’s a free event with lots of useful contents! Speak. People often incorrectly think that they need to be a project insider to be “qualified”, but that’s not the case. Lots of users want to hear about how other fellow users are using the software. So please tell us your showing off how you use Jenkins, clever ways you combine various pieces, technical/organizational challenges you faced, an so on. There are some great suggestions for potential topics on the JUC web page. Recruit. If you aren’t comfortable speaking, please recruit someone else you think has an interesting Jenkins-related topic to present to the Community. Promote the Conference. Even if you can’t come, please Tweet about it, re-Tweet posts you see from the @jenkinsconf Twitter account to your followers, email your friends, post to Facebook, and Like the JUC posts already there. If you paste in the JUC web page URL to your Facebook post, it will automatically pull in the cool Jenkins image we created for the conference. All of these things are easy to do and they really make a difference in getting the word out! Sponsor the Conference. Sponsors are actively being recruited. One of the ways companies can give back to the Jenkins project that they’ve benefited from is by sponsoring JUC. Helping the project flourish protects your company’s investment in the use of Jenkins. All sponsorship levels also defray the costs of the Conference, thus keeping it free for attendees. Maybe your company would consider sponsoring? Hit up your favorite vendor to do so, too! Registrations are coming in daily. 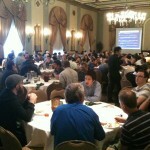 So far, we have about 80 attendees, so please keep them coming. If you haven’t registered, register soon before the seats fill up. Making the event successful opens up many interesting options (like organizing other events in the future, etc), and that way it benefits the community as a whole, not to mention continuing to increase the Community’s knowledge and making Jenkins an even better platform in the process. I look forward to seeing you there – as an attendee, a speaker, and/or a sponsor! We’ll have some more exciting things to announce in the coming weeks, so stay tuned!